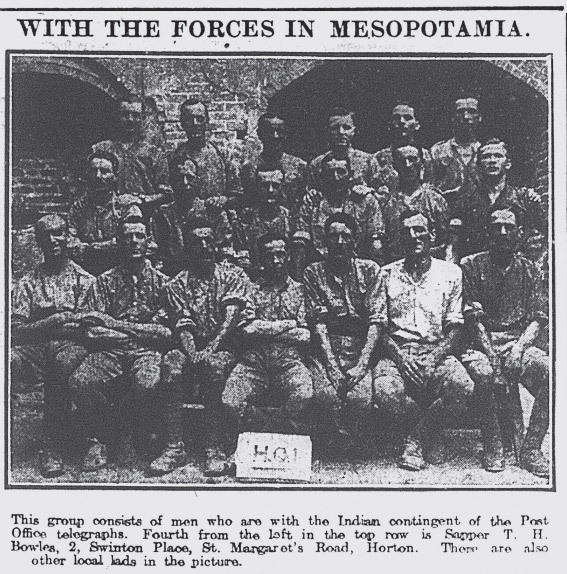 Bradfordians knew from their newspapers that military engagements were being fought on many continents and at sea which involved people from all over the world including men from Bradford. 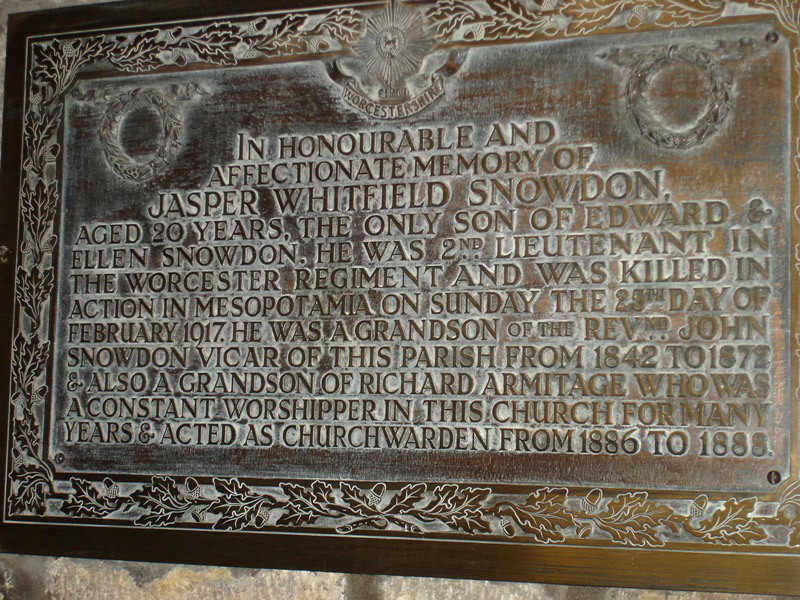 Jasper W. Snowdon, Plaque at All Saints Parish Church, Ilkley. 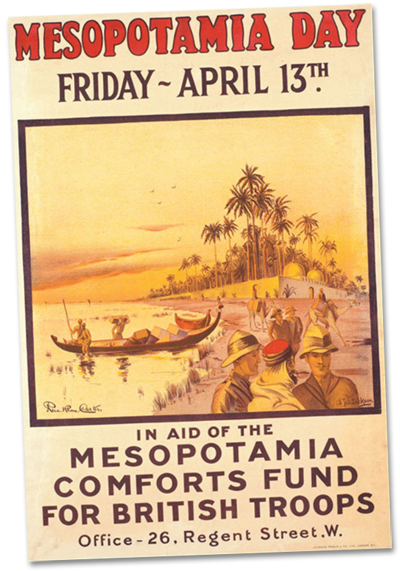 The conflict against Turkish forces in Mesopotamia began in November 1914 with the occupation by the British of Basra, in protection of the oil supply. By its end 850,000 British and Indian troops had been deployed. After fending off a Turkish attack in April 1915 the British successfully advanced up the river Tigris to Kutñal-Amara. Despite troops being tired, diseased and under-strength and with too little river transport to sustain its 200 mile supply line, it was decided to advance on Baghdad. In November 1915 at Ctesiphon, south of Baghdad, the British forces failed to break through a much stronger Turkish position. 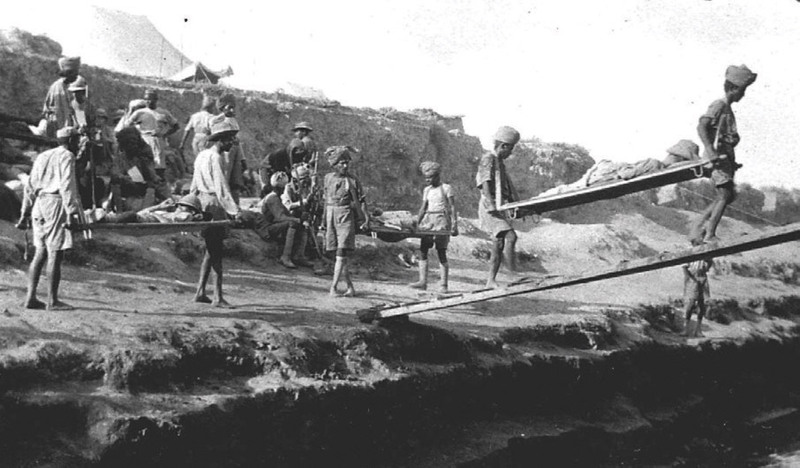 The British and Indian soldiers fell back to Kut where they were besieged for many months during which time they suffered 23,000 casualties. When they surrendered in April 1916 some 16,000 men remained. Of those who fell into Turkish captivity a third perished before the war ended. In December 1916 a force of 130,000 men (two-thirds of them Indian) advanced on Kut with generous artillery and much improved river transport. 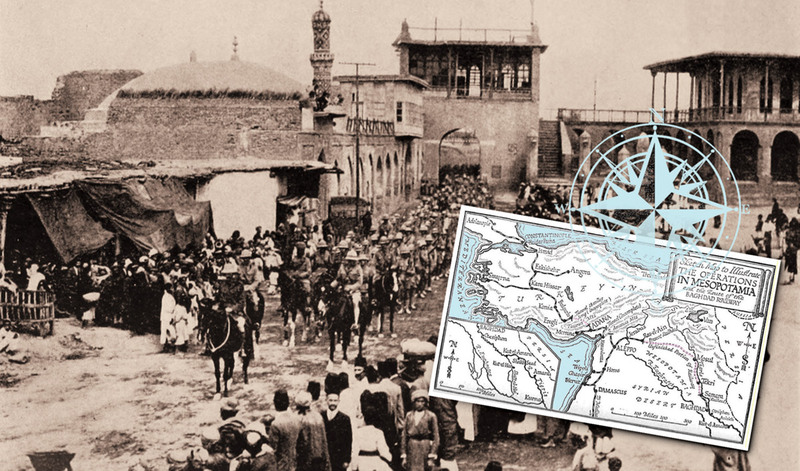 Kut was retaken in February 1917 and the force entered Baghdad in March 1917. Lieut Stanley Emmott from Bradford serving with the 2nd Battn Dorset Regiment had gone to Iraq in January 1916. He was slightly wounded at Kut where he was with the relieving force and fortunately survived the war. Before the war he had worked at Blythe’s motor contractors and then as a commercial education master at Stroud. Born in Bradford, Jasper W. Snowdon was a member of the OTC at the Grammar School. After the war began he was commissioned in the Worcester Regiment and arrived in France in February 1915. Wounded by a sniper in the head and neck at St Eloi in France in May 1915, Jasper was treated at the 1st London General Hospital, Camberwell before returning to active service later in the year. He served in Gallipoli from September 1915 and was evacuated with dysentery a week before the withdrawal and rejoined his battalion in Egypt. From Egypt, Jasper served in Mesopotamia and was wounded once again on 5 April 1916, this time recuperating in India for several months. He returned to his unit on the Tigris Line in January 1917 but he was killed in action on 25 February. He was 20 years old. Wounded Turks being tended at an Indian advanced dressing station after the action at Tikrit on the Tigris river, November 1917. British, Sikh and Punjabi troops had distinguished themselves during the assault on a well dug-in enemy position. 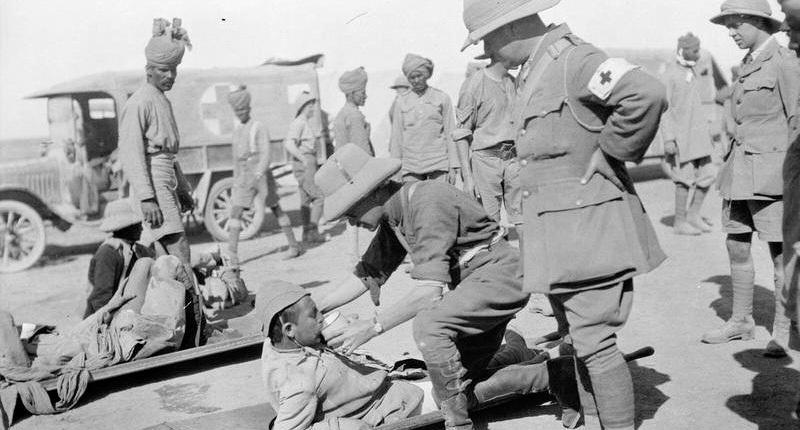 Indian troops taking British sick on board a hospital ship at Sheik Sand. Thomas Holdsworth Bowles, born in Bradford in 1894 was a telegraphist at the GPO in Forster Square. He went abroad with the Royal Engineers on 18 October 1914, age 20. He served in France and Flanders before being posted to Mesopotamia where he served with the Indian contingent of the Post Office Telegraphs. 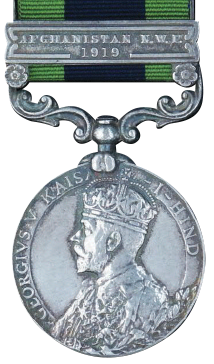 Later he served on the North West Frontier in the 3rd Anglo-Afghan War where he was awarded the Indian General Service Medal in 1919 whilst on service in India. 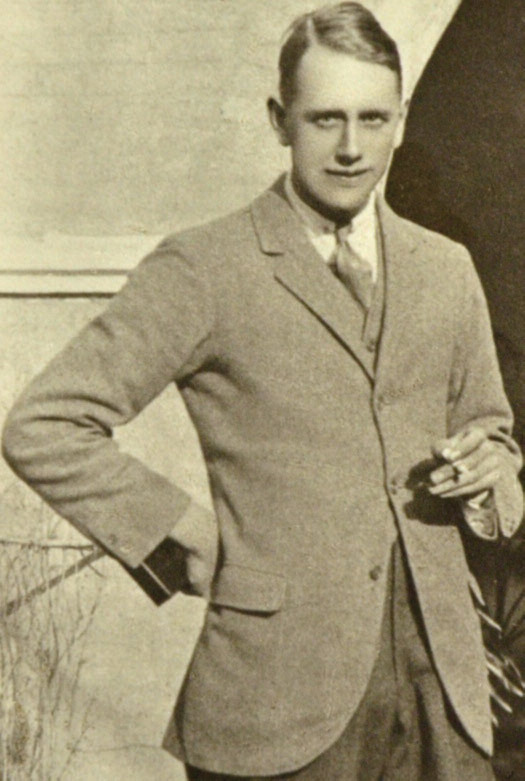 TH Bowles returned to Bradford, married Elizabeth Carr and died in 1964.